A couple of weeks ago, Dr. Milton Cox from Miami University, met with a group of students, staff and faculty to share ideas on how to build effective communities of practice at UNT known as Collaborative Learning Communities (CLC). In his lecture and our discussion, Dr. Cox shared suggestions on how to “mind the gap(s)” in higher education and consider the broken spaces between our current disciplines, departments and silos on campus. 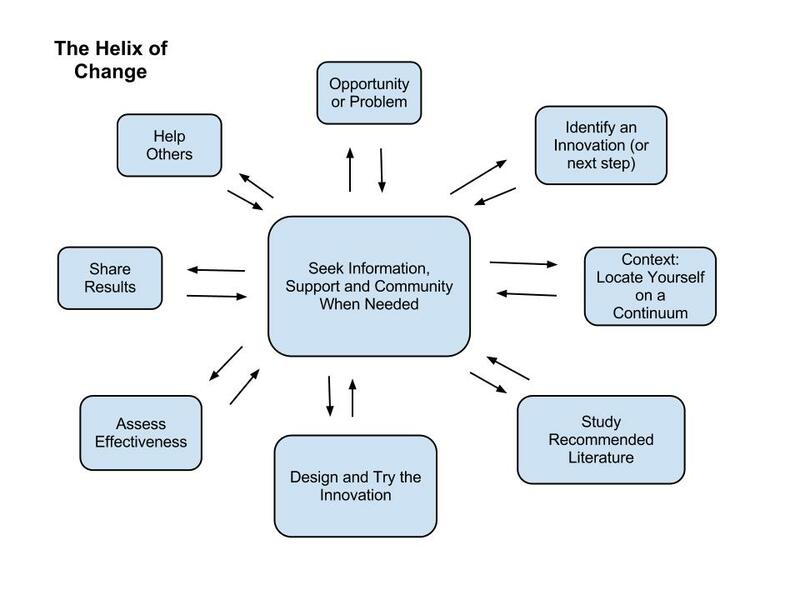 The process of connecting to establish a community of practice (in his example, faculty learning communities) it is to connect faculty and their institutions to think beyond their department, discipline and separate goals for the campus. It is all to common to see department loyalty being rewarded and interdisciplinary activity questioned in higher education. There are also disconnects between student development and academic affairs priorities. For higher education to move forward it will be critical for faculty and staff to engage students in new ways of learning and scholarly activity. Although many students want to see the sage on the stage, to just consume information, it will be increasingly critical for our learning institutions to encourage inquiry-based learning and promote self-regulated scholarship. As we connected and discussed ideas around our own Collaborative Learning Communities (CLCs), we found sharing ideas could help work towards resolving institutional challenges and support the strategic goals for our campus. As our CLCs gather and collaborate, I am looking forward to connecting, brainstorming, and creating initiatives that will enhance what we do on campus. How can communities of practice and learning networks play a critical role in meeting the challenges of higher education across the globe? As professional and personal learning networks (PLNs) develop, how can these informal entities support and contribute to the future of higher education? What are some actionable items and issues that higher education communities of practice can take on both at the local and global level? Sign in and CAST YOUR VOTE HERE. Cox, M. & Richlin, L. (2004). New Directions for Teaching and Learning: Building Faculty Learning Communities. Vol. 97. San Francisco: Jossey-Bass. Wenger, E. (2002) Communities of practice. Encyclopedia of the Social Sciences. Volume 1.5, Article 5. Elsevier Science, Amsterdam.